Elder law is one of the most important, yet least understood, areas of law out there today. As the name implies, elder law deals primarily with legal issues that affect the elderly. That being said, it isn’t just seniors that need this type of help. People of any age can benefit from proper estate planning, for example. In addition, it is often the adult children of parents who have recently passed away that require assistance getting through probate. Of course, we do help many seniors directly to help them to ensure they can enjoy their golden years as much as possible. We offer a variety of services to our clients to help protect their assets, set them up for long-term care, and ensure their final wishes are properly carried out when the time comes. Estate Planning – Planning out what you want to happen to your estate should you pass away or become unable to make important decisions on your own is essential. We can help ensure you have all the right documents in place so you are properly protected. Asset Preservation Planning – You’ve worked hard for your assets throughout your life. Now it’s time to protect them so that they will be there for you while you’re living, and your loved ones when you’re gone. We can work with you to develop effective strategies for keeping your assets safe from the state, long-term care facilities, and other common expenses. 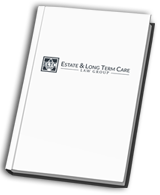 Long-Term Care – Preparing for long-term care is a critical part of elder law. We can ensure you will have access to the care you need should the time come, while also keeping your finances safe. Post Death Transfers – We can help prepare your estate to ensure it goes to your loved ones when the time comes. In addition, we can help your family through the process, including getting through probate and taking possession of what you want them to have. If you need help with the above areas of elder law, or if you just have questions about them, please contact us. The sooner you get in touch with us, the more options you will have available to you, so don’t put it off another day.